Abstract -Kimberlites (senso lato) are OH-rich ultramafic (silica deficient) rocks with a porphyritic texture that may contain phenocrysts and xenocrysts of pyrope-rich garnets, magnesian-rich ilmenite (picro-ilmenite), chrome-diopside, spinels, phlogopite and diamonds, as well as foreign inclusions (xenoliths) of exotic olivine-pyroxene-garnet-spinel assemblages. Evolved varieties include phlogopite-rich (Type II) and the highly potassic lamproites that may contain sanidine, feldspathoids (leucite) and unusual K-rich amphiboles (K-richterite), and a host of barium and titanium rich minerals (priderite, perovskite, wadeite). They occur in fissures or thin dikes and as “blow-outs” in carrot-shaped “diatreme breccia pipes”, too far from the source to be “normal” quenched magma melts. Consistent with their high fluid content, outgassing took place at great depth, and emplacement was achieved rapidly along hydraulically driven cracks from depths of the order of 50 to more than 150 kms. Diatremes are essentially, near surface structures, with both crater and vent facies preserved. No lava except for some lamproites has been verified. Outgassing fluids, with modeled velocities as high as Mach 2, plucked, entrained, rounded, polished and mixed samples of the upper mantle and lower crustal rocks, up to 60 cm across, with more angular upper crustal lithologies, and polished the walls of some of the diatreme vents. “Kimberlites” were emplaced periodically throughout geologic time with a peak during Cretaceous times (disruption of Gondowanaland). The predominance of lamproites to the Tertiary may reflect erosion depth rather than temporal distribution. Although kimberlite-type volcanism is more common than once suspected, kimberlitic intrusions are volumetrically small, and tend to be clustered. Some kimberlite and lamproites are of interest economically as a primary source of diamonds, albeit as the dispersant rather than the concentrating agent. Of more than 9000 known kimberlitic bodies only approximately 5% contain diamonds (mainly as “micros”, <0.5 mm) and less than 10% of these are likely to be economic. Tradition exploration sought to find kimberlite intrusions by sampling of stream sediments for a characteristic suite of heavy minerals (picro-ilmenite, Cr-diopside and low Ca –Cr-rich garnets), referred to as “indicator” (or “sputnik” minerals). Lamprophyres have a different “sputnik” assemblages. Although the ultimate test for economic viability of a kimberlite/lamproite body is ”production performance”, much of the guesswork is reduced by improved sampling strategies, and correlated geochemical/mineralogical parameters of the more abundant xenoliths and xenocrysts in the host. These include, amongst others, the partitioning between elements (such as alumina and chrome between coexisting minerals such as garnets and pyroxenes) adjacent to and within diamonds that yield information of pressure and temperature in the source region in the upper mantle. Other favorable factors include the presence of (a) G-9 and G-10 garnets (low Ca, high Cr pyrope), (b) the absence of an oxidation trend (overgrowths) in the ilmenites and spinels. Additional evaluation is warranted if the P-T regime, inferred from co-existing sets of minerals in the xenoliths, plot in a fertile region defined by the diamond/graphite inversion boundary and geothermal gradient. Experimental work on carbon indicate an environment of 1300°C and 54 kbars (<4 GP pressure) for diamond growth from a melt: conditions likely to occur only beneath old cold cratons. Arizona has its share of these diatremes in the northeastern part of the state and adjacent areas in Utah, Colorado and New Mexico. These “Colorado Plateau” diatremes [JG1] [JG2] differ from typical kimberlites in the abundance of unaltered ultramafic nodules, “fresh” olivines, and a paucity of serpentinization and absence of G9 or G10 garnets. Conventional wisdom is that the mantle is too hot at the right depth. However, diamond have been produced from Murfreesboro (Prairie Lake) in Arkansas, and Kelsey Lake in northern Colorado, but neither are considered economically viable. Diamonds are classified geologically as “p-type” for peridotitic from “fertile” asthenospheric (pristine) mantle, or “e-type” for eclogitic from a depleted or lithospheric (recycled) mantle. Different types of diamonds may represent stages and storage of Earth’s carbon from crust to core. The recent discovery of Ice-7 in a diamond suggests a complex history. Diamond have been around since the early crust of the earth formed and they probably record a dynamic earth history until the time of emplacement (some more than a billion years later). Modern exploration focuses on extensional settings in “OLD COLD CRATONS”. The marketing of synthetic diamond gemstones earlier this year is significant because it may spur the development of doped diamond crystals for “quantum’ processors. Bio -David Percy Gold was born (June, 1933) in Natal, South Africa, the great-grandson of immigrants from Brecken, Scotland, and grew up in a rural farming community. After matriculating from Maritzburg College (1950), he completed three degree (B.Sc., B.Sc. (Hons) and M.Sc.) in geology from the University of Natal, South Africa. He spent two years as an Assistant Geologist (Union Corporation) in the Witwatersrand Gold Fields, before starting graduate studies at McGill University, Montreal, Canada. His thesis on the evolution and emplacement mechanism of rare carbonate-bearing rocks with deep-seated roots in the upper mantle, complemented his early interest in the nature of kimberlites. He married Jacqueline Kebble (from Springs, South Africa) in Montreal on October 9, 1959. They migrated to State College, Pennsylvania in 1964, where they raised and educated four children. A lecturer post at Loyola College in Montreal, enabled him to spend summers with the Dominion Observatory (Ottawa) on a Program to examine the origin for “large circular features” on the Canadian Shield, and determine which might be astroblemes (meteorite impact sites). A post-doctoral fellowship at Penn State (1964), under the tutelage of O.F. Tuttle, and P.J. Wiley, melded both these interests in a NASA-sponsored project to develop criteria for distinguishing exo- from endo-genic terrestrial craters (part of the Gemini and later Apollo space programs). He has presented more than 50 articles on these topics. Interaction with Frank Dachille (Penn State) fostered his thinking on the scale of geological processes involving short time-spans, large features, and enormous amounts of energy – a topic he continues to develop. He has conducted detailed field mapping projects in Africa, Canada, and the United States, and visited mining sites in central and South America, India and Russia. Current studies on kimberlites focus on the anomalous emplacement habits of dikes exposed underground in some Pennsylvania coal mines. At Penn State, he taught courses in Economic Geology, Geology for Mining Engineers, Structural Geology, Remote Sensing and Photo-geology, Field Methods and Field School, from the mid-60’s to the mid-90’s. Extra-curricular activities included short courses for National Science Foundation, National Groundwater Association, U.S. Army Corp of Engineers and PetroChina. He served on the MLA-MRE Advisory Group (NASA) on Remote Sensing and Space Technology during the 1980’s. He is a Fellow of the Geological Society of America and the Geological Association of Canada. His kudos include the Barlow Memorial medal from the Canadian Institute of Mining and Metallurgy/Geological Association of Canada (1967), the Wilson Outstanding Teacher medal (1971) from Penn State, the 24th International Geological Congress, Presidents medal, 1972. He was one of the American Geological Institute’s Distinguished Lecturers for 1971. His association with Penn State started as a post-doctoral fellow at Penn State during the fall of 1964. This appointment morphed into Research Associate status in 1966, a tenured faculty position in 1968 and a professorship in 1975. 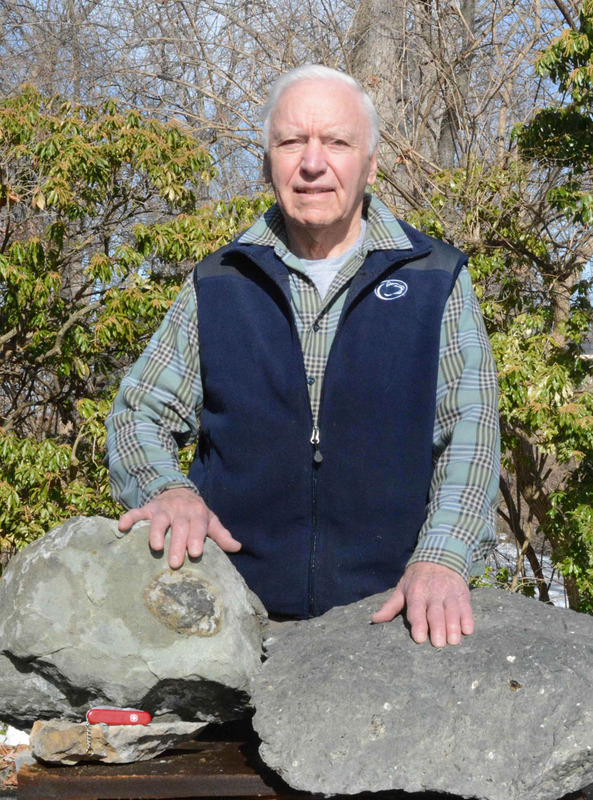 He was Director of the Penn State Field School (1971-97), Chairman of the Geology Graduate Program from 1977-1982, and the University Ombudsman (1997-2011). He considered Field School, operating out of Red Lodge, Montana, and Alta, Utah, as his Summer vacation. Although he formally retired end of 1997, he was awarded emeritus status at Penn State and maintains an office in Deike Building.